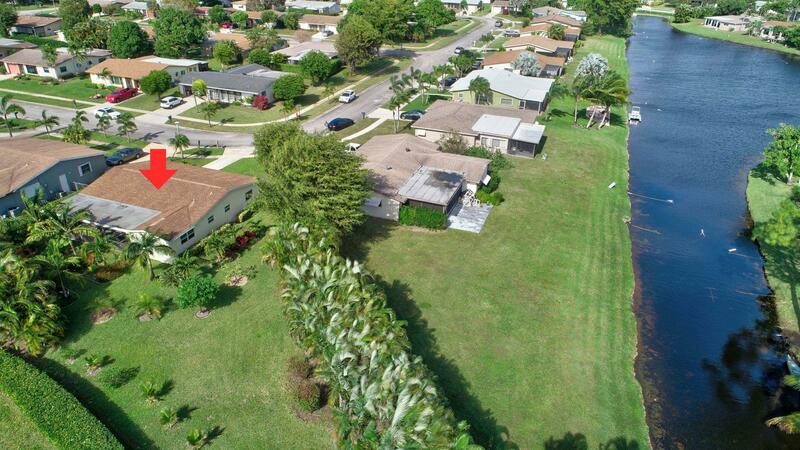 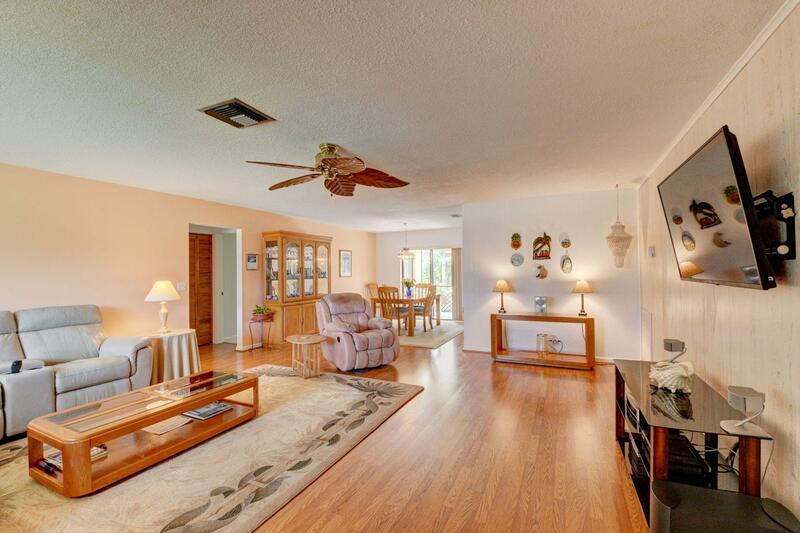 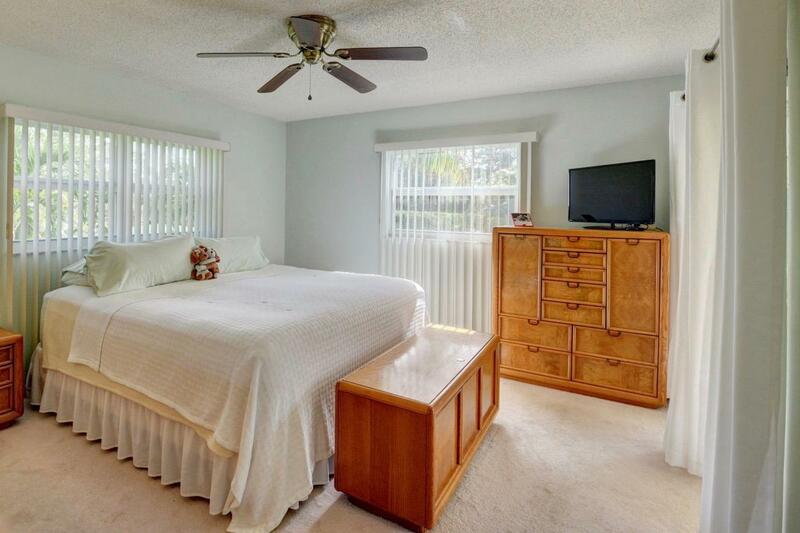 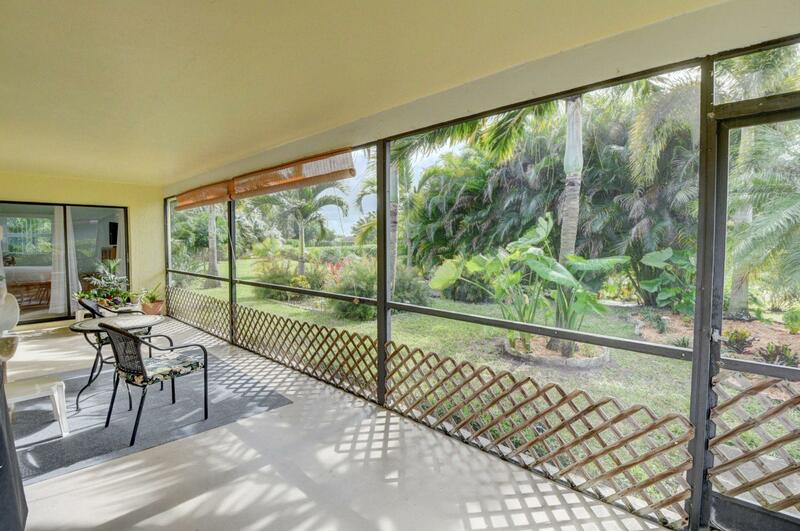 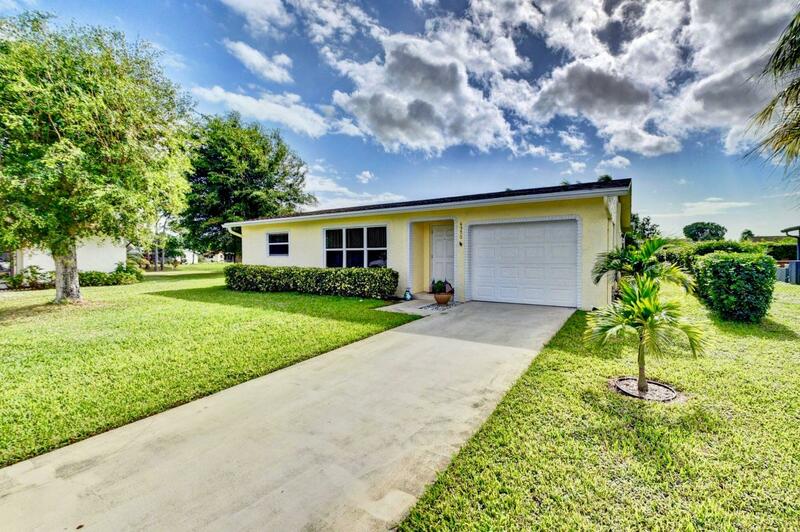 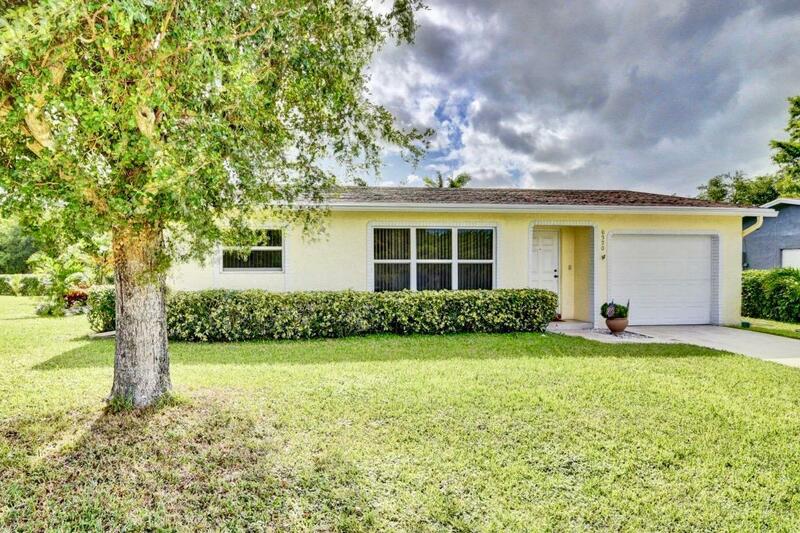 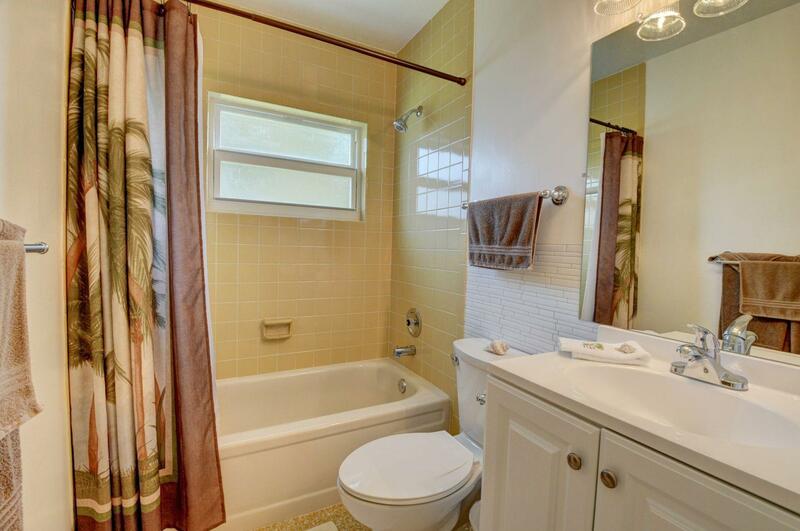 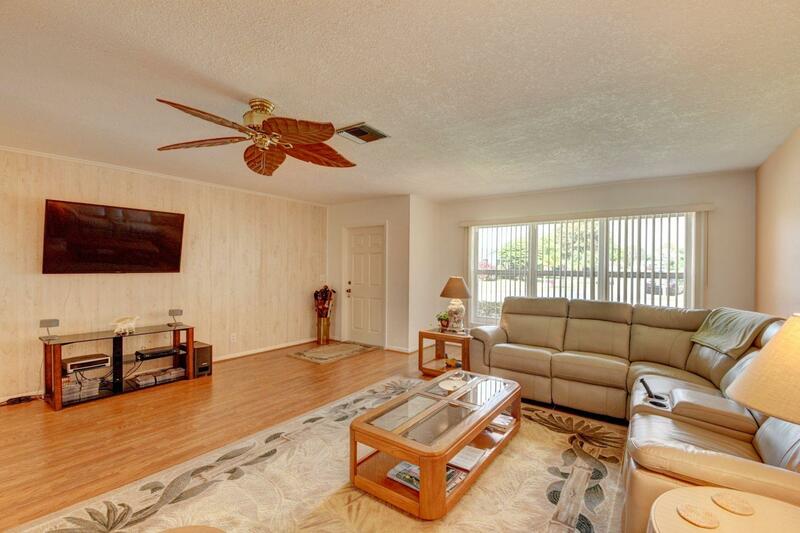 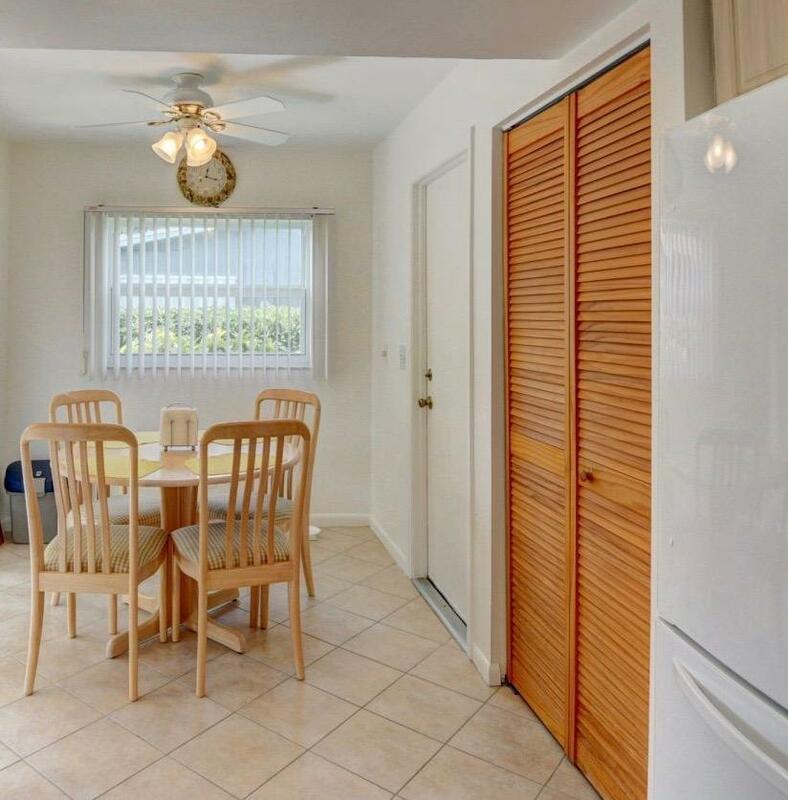 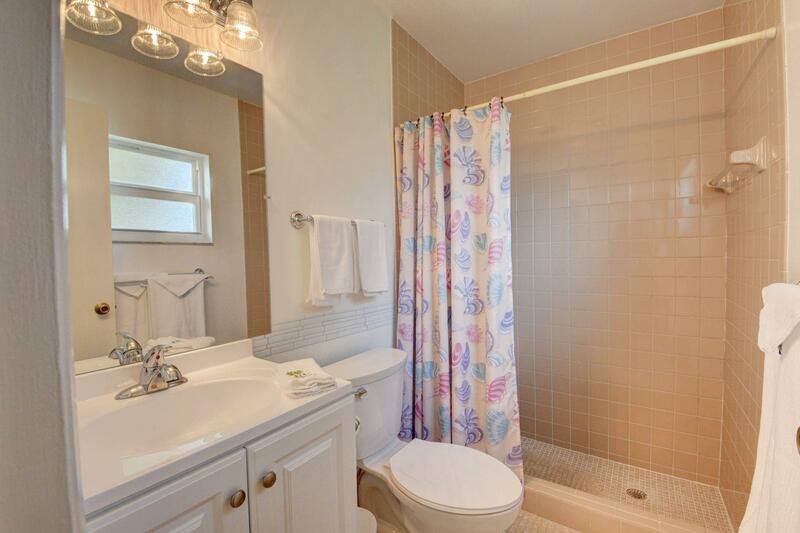 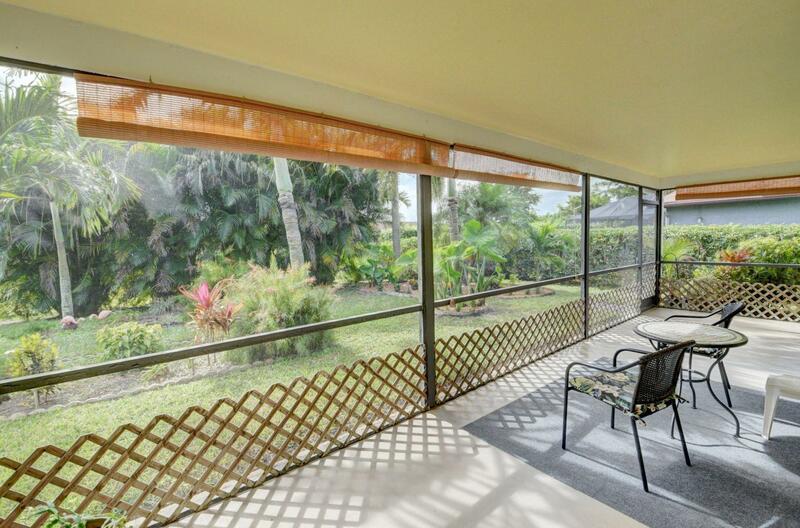 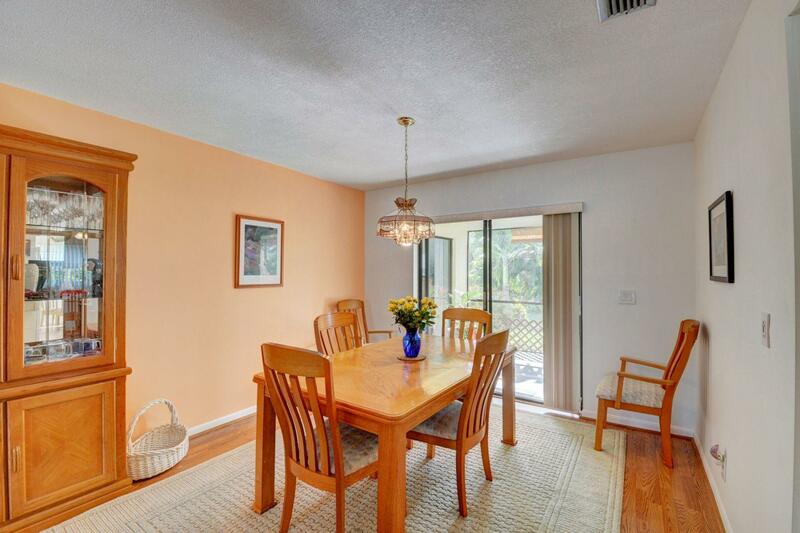 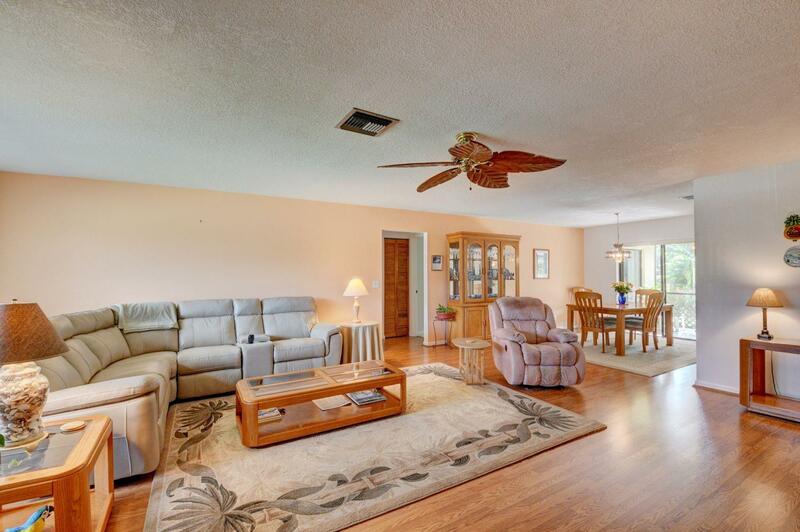 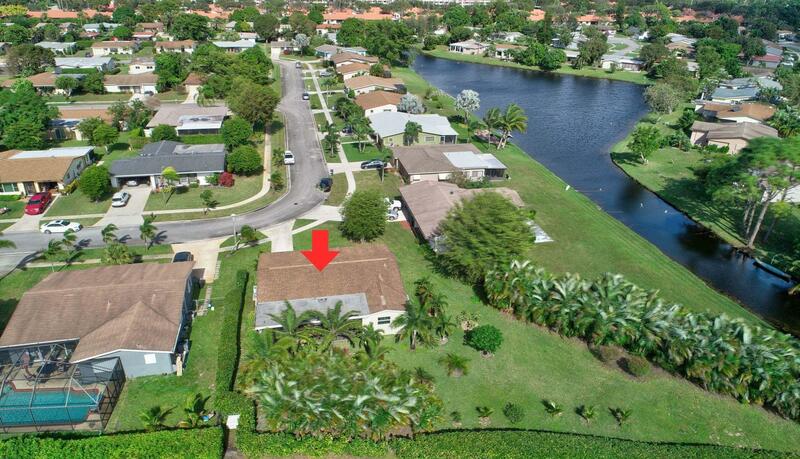 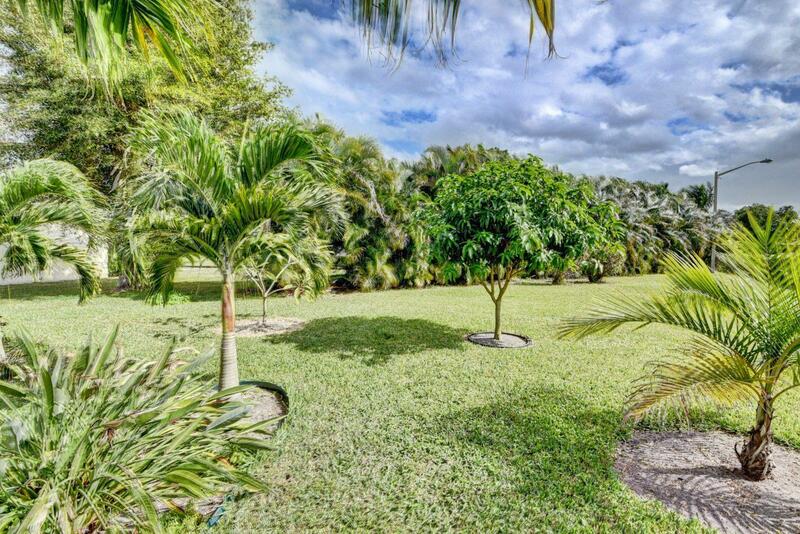 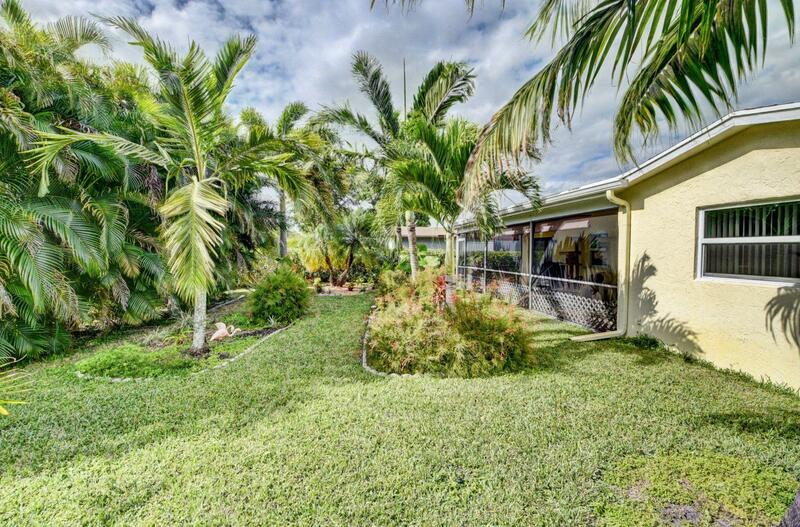 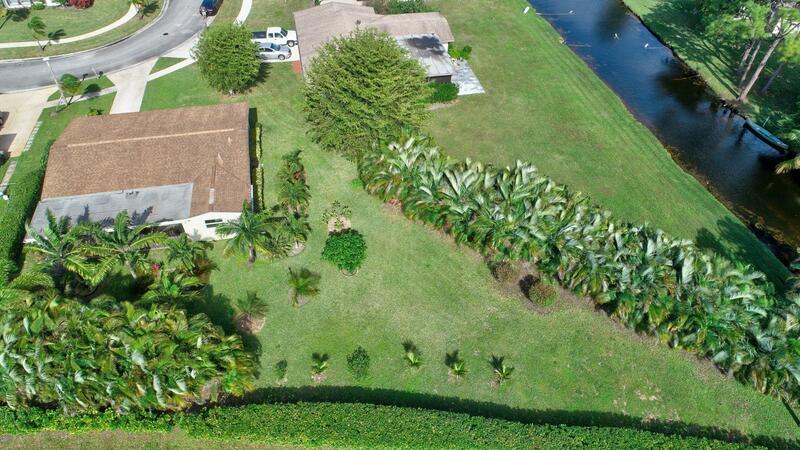 Bright & spacious Delray Beach home on a lush oversized lot. 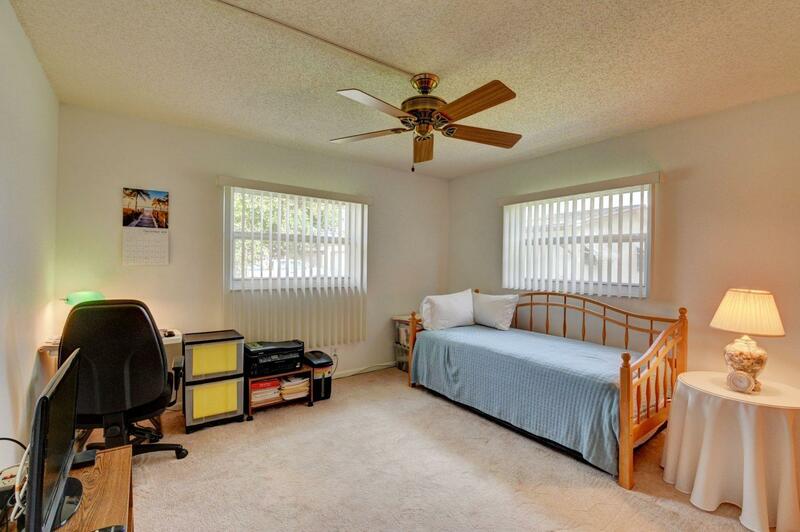 With room for a pool! 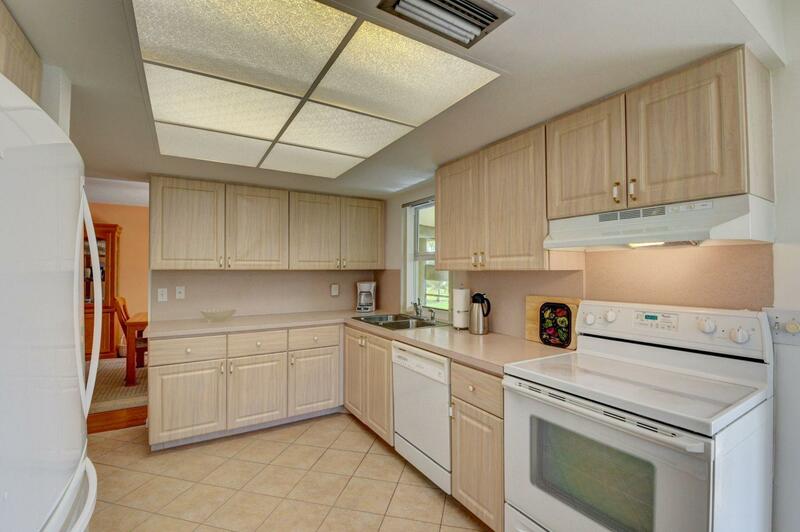 This 2/2 home has an eat-in kitchen, a 31' x 10' screened-in Florida room overlooking lovely gardens, and nice updates. 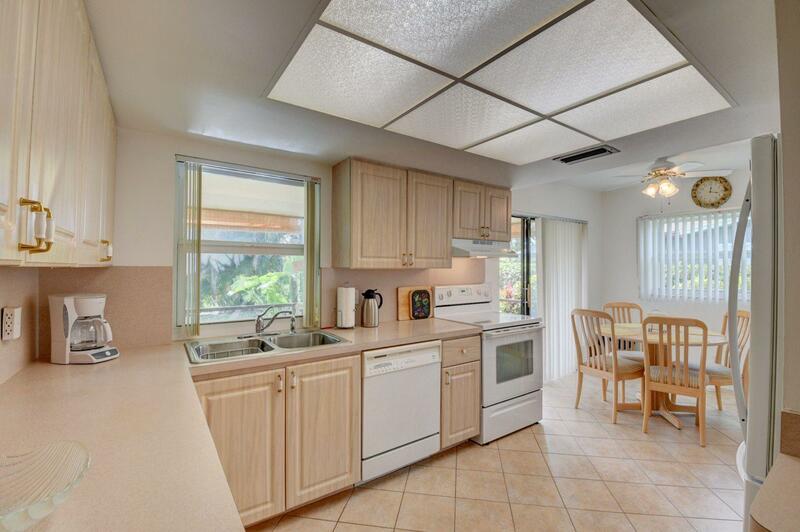 With a new water heater, 4 yr old A/C, and HURRICANE IMPACT WINDOWS throughout! 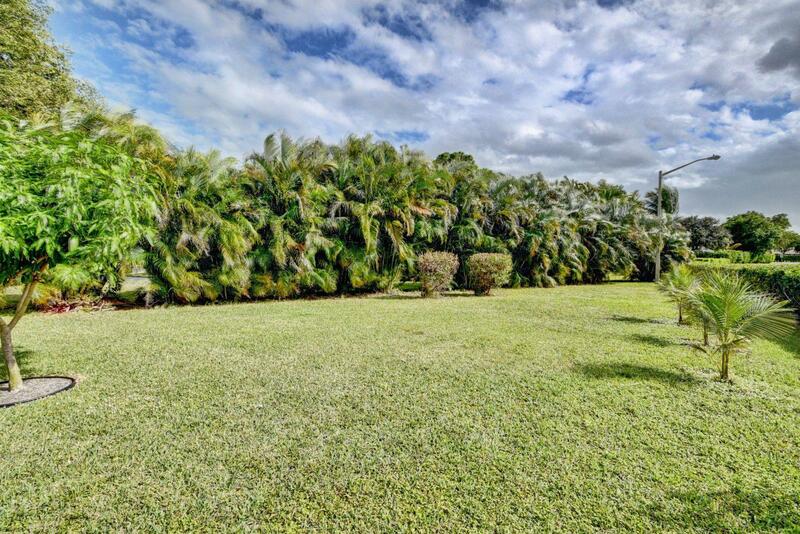 The home is situated on a beautiful .32 acre lot with lake access and lots of room for entertaining and pets to roam around. 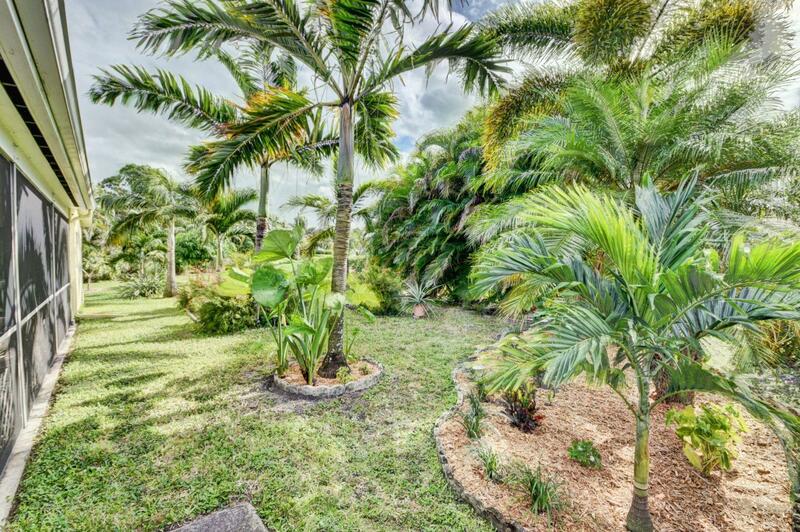 With privacy hedges on three sides and a 3 yr old MANGO TREE. 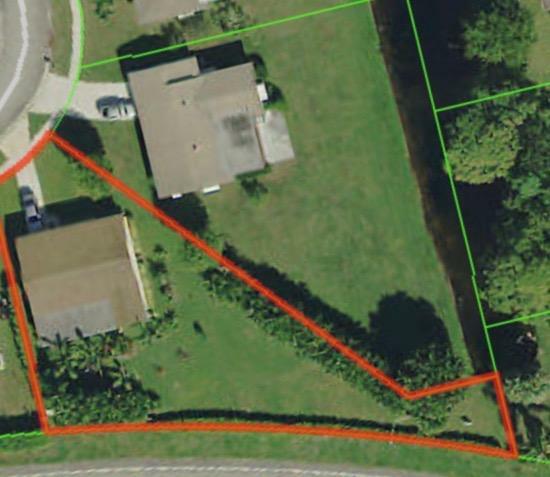 Fences are allowed. 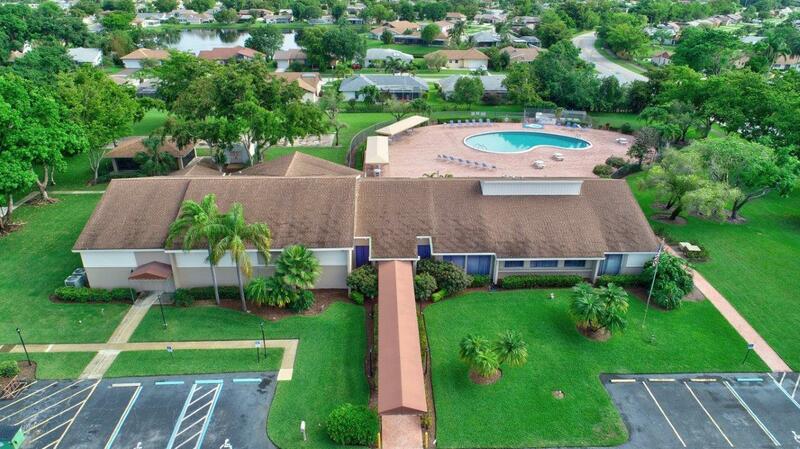 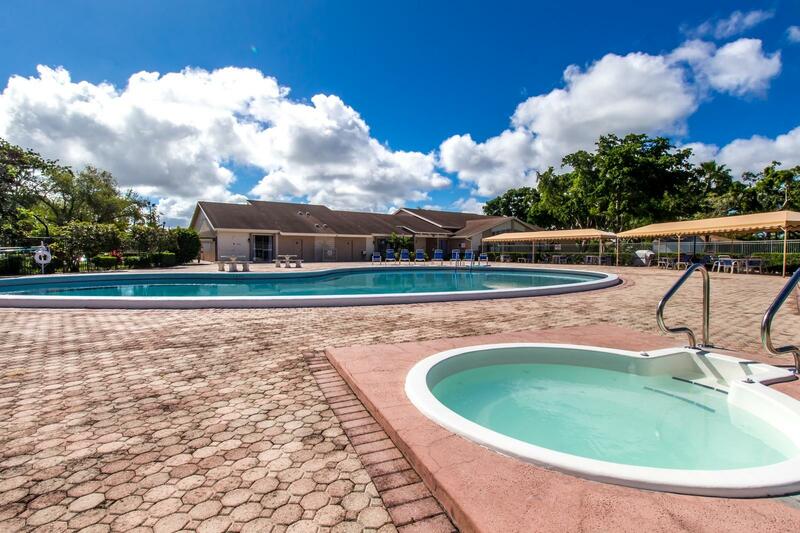 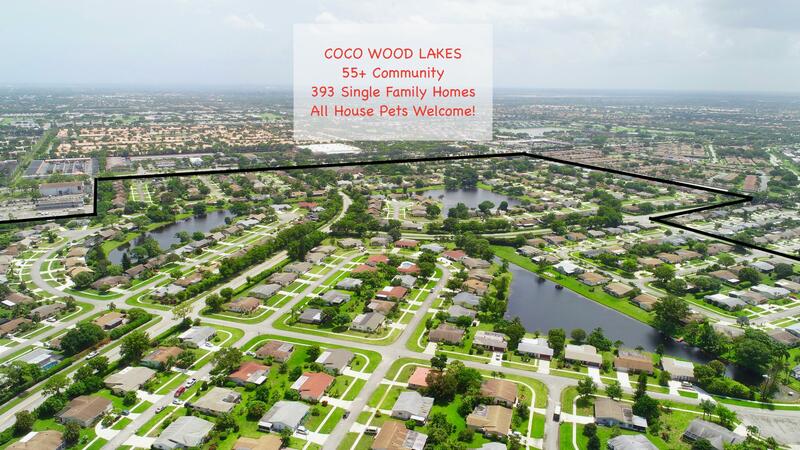 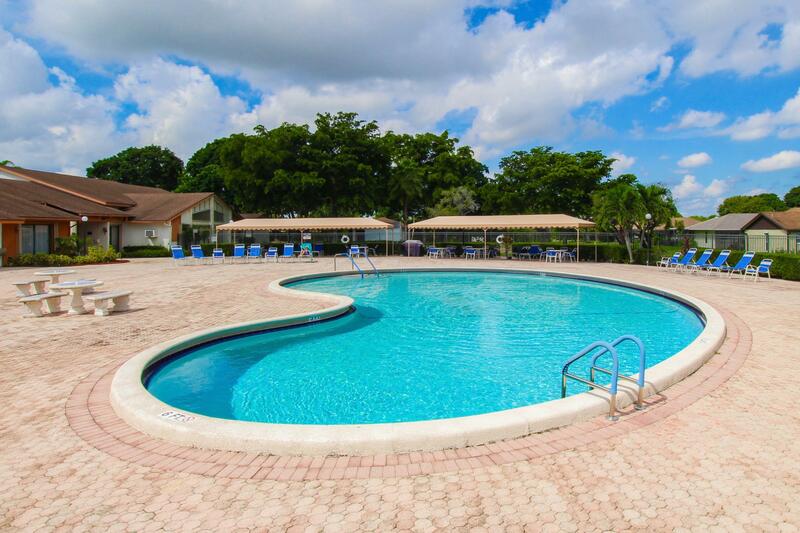 Coco Wood Lakes is a VERY PET FRIENDLY, 55+ community w/ a clubhouse, gym, hot tub, large pool & seasonal entertainment/activities. 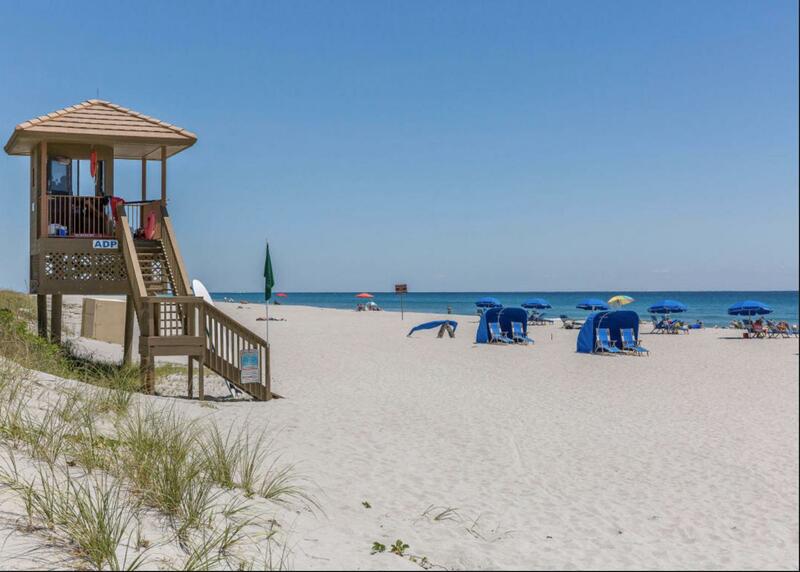 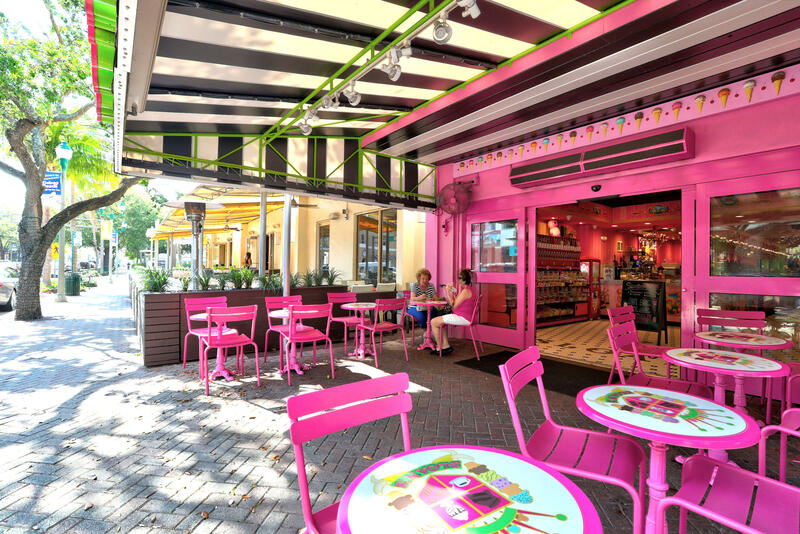 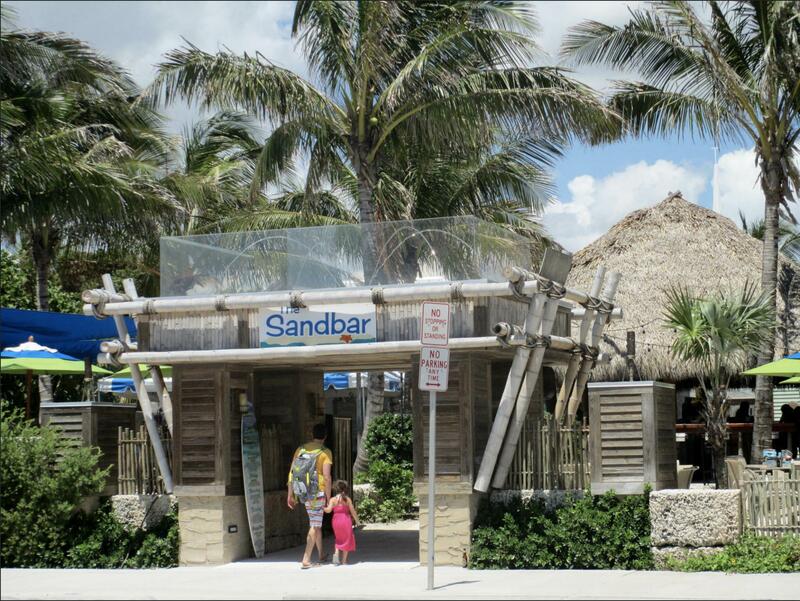 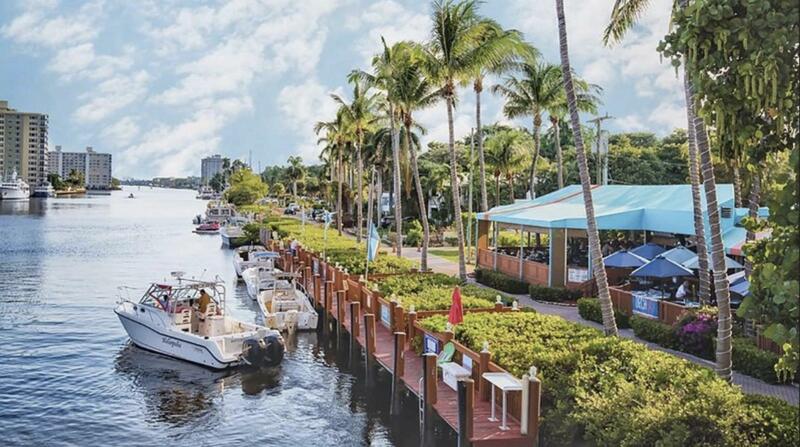 Minutes to wonderful restaurants, shops, a thriving nightlife & THE BEACH! 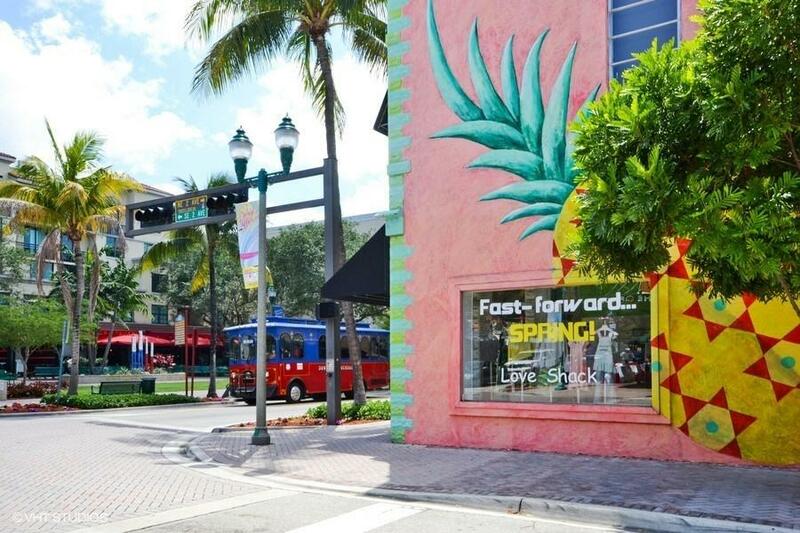 This area offers numerous festivals and events throughout the year! 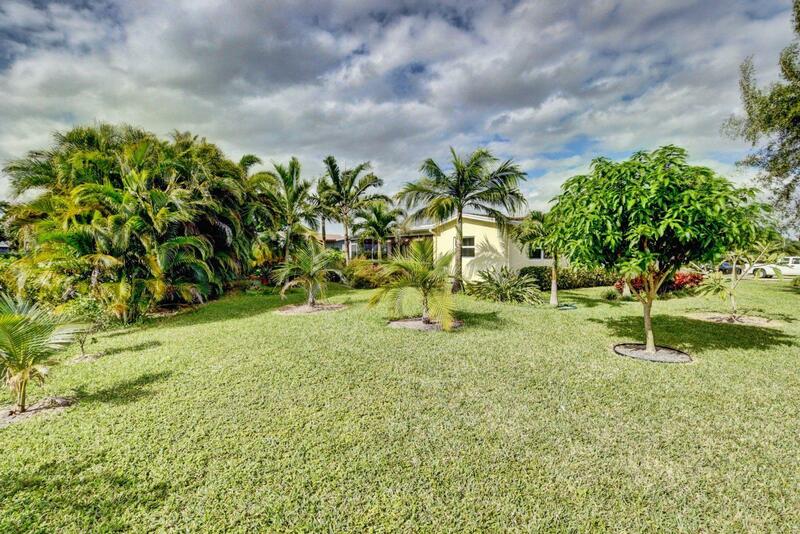 Idyllic South Florida living!